With the booming internet and industry in different sectors, business has taken a different meaning altogether. The number of brick and mortar stores and the number of e-commerce stores that are coming up every other day shows that the scope of retail business has widened enough. Previously, retail business was limited to only a few types of products. But now, it is not the case. With many youngsters starting startups and providing customized solutions and products, the number of retail businesses is increasing. Retail businesses are now in different sectors such as clothing, home furnishings, car dealers, automotive parts and accessories, electronics and appliance stores, furniture stores, hardware stores, outdoor power equipment stores etc. The business funding needs of these upcoming new enterprises in the retail industry are very different. If you are a retail business store owner, you know it even better. There are times when you require working capital immediately. What then would be your options? The regular commercial loans are always present. But do they help small business owners like you in getting the requisite working capital on time? In most of the cases, probably not. This can be attributed to the stricter loan terms and conditions of the bank loans. Apart from these terms, the repayment options are also strict, without any flexibility. The commercial banks look for collateral and also the credit history. But there is an alternate funding solution that works very well for small business retail store owners like you. And this is called the Merchant Cash Advance. What is Merchant Cash Advance and how is it useful for retail store owners? 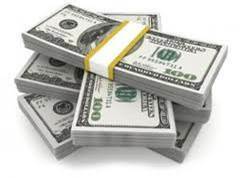 Merchant cash advance is nothing but getting a business cash advance in exchange for your future sales. Remember, this is not a loan. Merchant Cash advance, as an alternative funding solution is a short term proposition that works very well for the small new startups, like yours. You get your working capital without any hassles, and the process is fairly easy and uncomplicated. Merchant Cash Advance is very suitable for many small businesses as many banks consider these startups and small businesses as high-risk businesses. The commercial banks also ask for collateral and the credit history. But this is not the case with the Merchant cash advance providers. Even if there is bad credit or even if merchants have high NSFs, Merchant cash providers give a cash advance to small business retail owners. So, if you have good sales through credit cards or debit cards, this kind of system works out very well. You get the working capital and the company buys a percentage of your future sales on a percentage basis. All the terms and conditions are mutually agreed upon. The advantage of this system is that, as a retail business store owner, you can concentrate on your improving your business and the cash flow. You need not worry much about the monthly fixed payments. The repayments to the merchant cash advance provider happen in such a way that your business is not affected. This is the kind of flexibility that MCA gives you and helps in advancing your business. Apart from the above-said benefits, the funding that you get from Merchant Cash providers can be used for many other purposes. You may have to buy some new equipment or even purchase some new inventory for the upcoming peak season. You can use the funding for all these purposes and also for recruiting new staff as well. If you have to undertake any repairs and renovation, then go ahead and use these funds to undertake these renovations. Sometimes, you can use these funds to also clear off previous debts. Some merchant cash providers also provide 2nd position, 3rd position, 4th position and 5th position funding. We are a merchant cash advance provider. We specialize in giving business funding to high-risk merchants and small businesses. As a retail store owner, you can always depend on us for your business funding needs. We also provide 1st position,2nd position, 3rd position, 4th position and 5th position funding, to most of the small businesses who qualify. You can grow your retail business store and fund your business needs with this quick and hassle-free alternative funding option. Choose your short term, long term or multiple position funding from us, depending on what your business needs. Bad credit need not hamper your business prospects. You can expand your business, and continue to provide customized products to your consumers.